As a native Philadelphian, February 4, 2018 was a big, big day for me. For the first time ever, after years of close calls and heart breaks, the Philadelphia Eagles were crowned Super Bowl Champions. One of the many things that struck me about the game was that the Eagles played to WIN. Despite facing a heavy favorite, there was never a sense that the Eagles were just trying “not to lose” or simply survive, hoping that the Patriots would make a mistake. They became champions because they went out and WON it! They WON it over the first 14 weeks of the season behind the excellence of Carson Wentz whose gritty 33rd touchdown pass of the season, a franchise record, came AFTER a season ending knee injury. They WON it when the entire team adapted to support their new quarterback Nick Foles, who rose to the challenge and assumed the mantle of leadership for the balance of the season. Finally, they WON it when head coach Doug Pederson greenlit Foles’ suggestion to run a risky trick play that would have been universally criticized as a bad call if it had not worked. Ultimately, the “Philly Special” became the defining moment of a team that played to WIN. 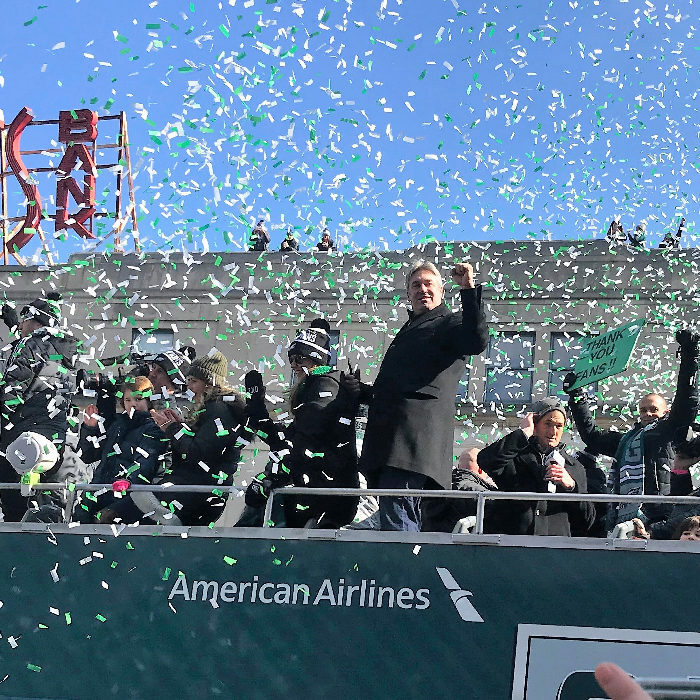 In the weeks since the Eagles paraded the Lombardi trophy down Broad Street, I have thought a lot about the inflection points that contributed to their win. At each challenge there was an opportunity to lose faith (…a torn ACL, an unproven leader, naysayers, risk). But instead of playing it safe, the actions taken were all driven by a will to win (…one more pass, keeping the faith, showing support, taking a chance). After some additional thought, I found myself drawing parallels to similar inflection points in my own life, especially at work. Two years ago I surprised some family and friends when I left my stable and secure position as a sales engineer with a world leader in electronics to join Tangent Energy Solutions, an early stage company that is an up and coming leader in the emerging distributed energy sector. I enjoyed my previous position. It paid well, there was great job security, and there was opportunity for steady promotion. On the other hand, I was one of tens of thousands of employees working within a well-defined structure and years away from being in a position of responsibility senior enough to make a significant impact. It felt a little like I was playing “not to lose.” And I wanted to “WIN”. Like many early stage companies, Tangent was eager for help and willing to let me bite off as much responsibility as I could chew. And, like many early stage companies, there are daily challenges where I could choose to either lose faith or find the will to win. At times I’ve had to overcome setbacks. I’ve also had to earn the support of co-workers when it was my turn to lead on projects. I’ve had to find the confidence to pursue opportunities when the odds were against me. And finally, I’ve sought and received approval from superiors when I wanted to try something new. One example where I was able to contribute to a “win” occurred soon after I was hired. Our solar division had been using an antiquated technique for preliminary designs and it was considerably slowing our response time. I pursued a new method for creating these layouts that has not only greatly increased our efficiency, but also has provided me a pathway to gain a great deal of experience and knowledge. This opportunity allowed me to prove myself as a reliable and valuable asset to the company early on in my career. Winning is not always easy and everything does not always work as planned. But, after just two years, I am convinced that playing “not to lose” is not an option in an early stage company. So, with Nick Foles’ in mind, I will continue to dig deep, find my own “Philly Specials,” and do my best to win.